India’s largest crowdfunding site. Over Rs.547.82 Crores raised. Help spot-fix an ugly spot! 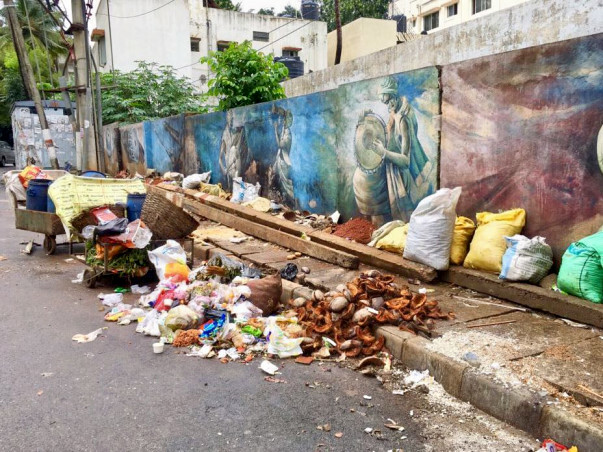 An ugly garbage dumping area in a residential locality of JP Nagar 2nd Phase has become a menace not just for the local residents but also for the passersby. The situation has become severe and challenging despite of several efforts by the residents and the BBMP authorities. Now, this spot is all set to be beautified by volunteers of #TeamYFP. 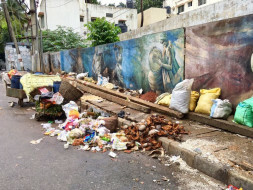 The idea is to get the garbage cleared with the help of local BBMP authorities, paint up the wall and sketch artistic designs, install few benches and planters at the venue and also a CCTV camera for the surveillance of the area after the clean-up! All the volunteers of #TeamYFP are either students or working professionals who are pooling in for the resources from their pocket money & savings. You too can contribute for the cause and join hands with the team! Let's join hands and do our bit towards #SwachhaBengaluru! It took exactly 11 hours to transform this ugly spot! This wouldn't have been possible without your support! Thank you all for joining hands with us! To YFP spot fix programme!